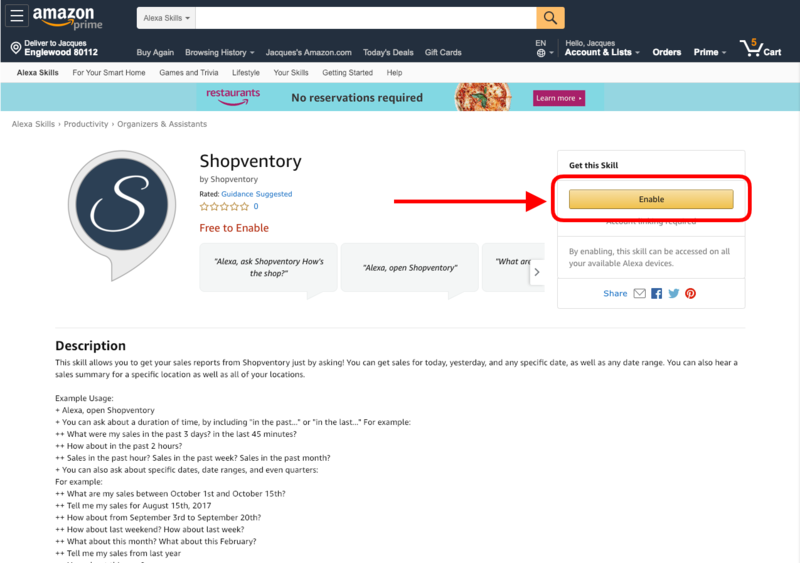 Shopventory's Alexa integration provides you with sales reports from Shopventory just by asking! You can get sales for today, yesterday, and any specific date, as well as any date range. You can also hear a sales summary for a specific location as well as all of your locations. You can also ask about a duration of time, by including "in the past 2 weeks" or "in the last 4 hours"
"What were my sales in the past 3 days?" — "In the last 45 minutes?" — "How about in the past 2 hours?" "Sales in the past hour?" "Sales in the past week?" "Sales in the past month?" etc. You can also ask about specific dates, date ranges, and even annual quarters! "What are my sales between October 1st and October 15th?" "Tell me my sales for August 15th, 2017"
"How about from September 3rd to September 20th?" "How about last weekend? How about last week?" "What about this month? What about this February?" "Tell me my sales from last year"
"What are my sales for the first quarter of this year?" "How about the first quarter of 2016?" More skills beyond Sales Reports are on the way. If there's something in particular you'd like to see, start a chat and let us know!